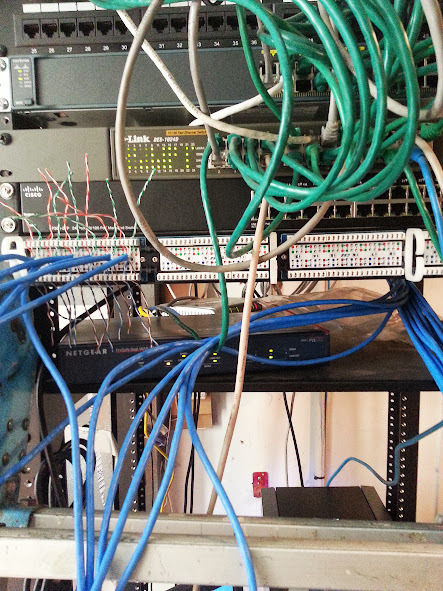 This customer already had an existing data network, and the panel was a bit messy. 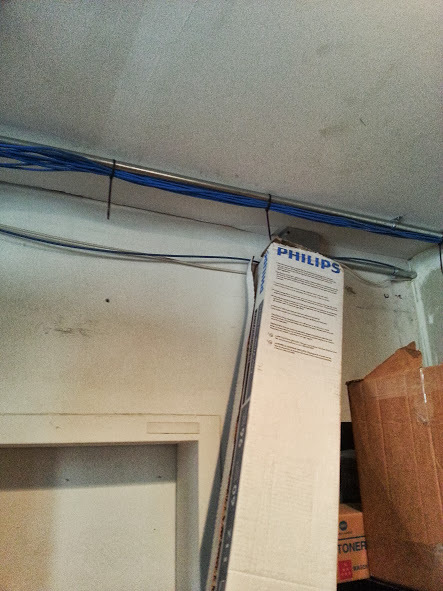 I installed a parallel network for their VoIP phones. Not the worse that I have seen, but a mess of patch cords regardless. The customer has a network or IT technician that handles their data network, so I did not touch any of the data network patch cords, and all of their existing equipment was left as it was. they were tywraped to conduit piping in the warehouse. and my 24 port patch panel. 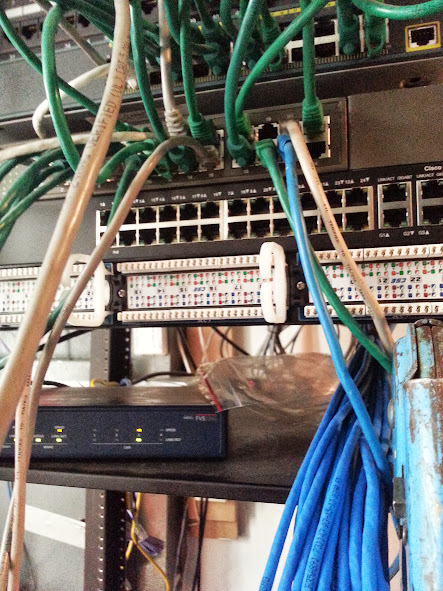 minus the 24 port switch and patch panel. 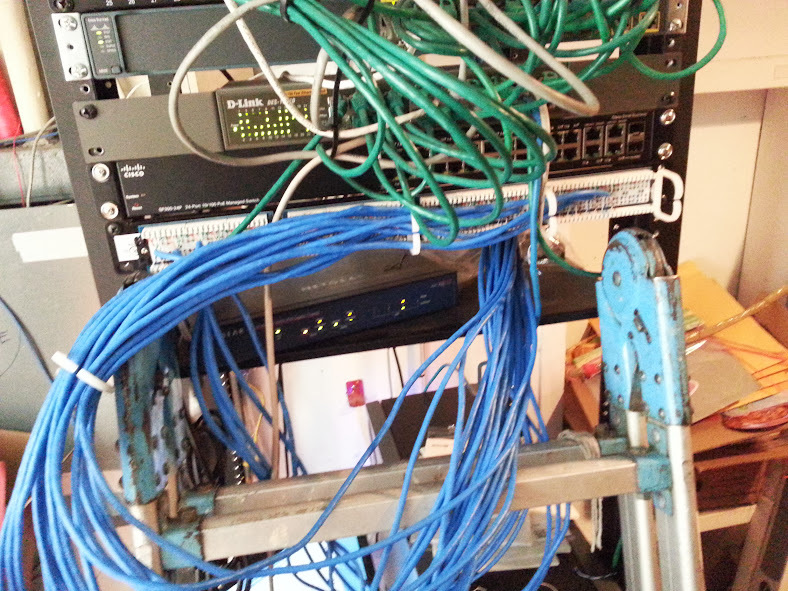 All green patch cords, and active routers/switches are for data network. First 6 cables ready to be punched down. 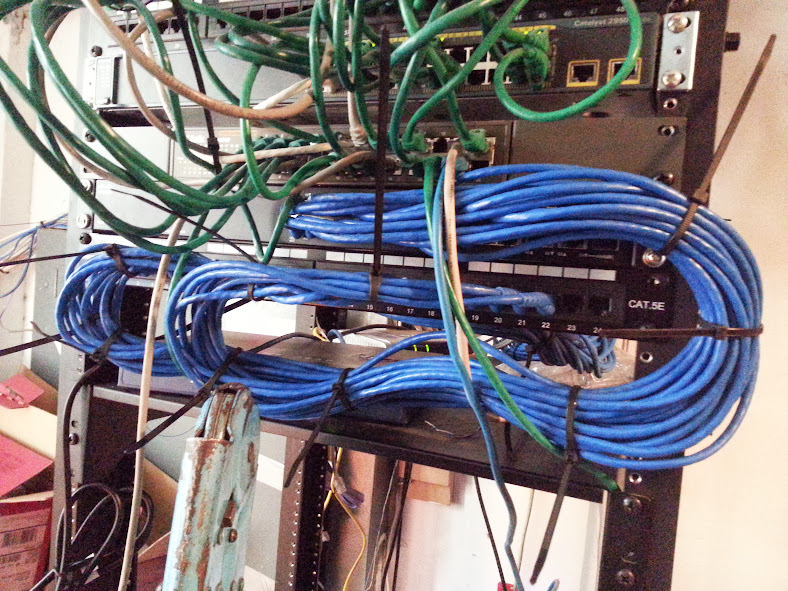 22 CAT5 wires terminated in my 24 port Patch panel. after everything was punched in, because the data network was active. All new jacks patched in. You may ask why did I use 3 foot patch cords instead of 1 footers, like the green ones that were used for the data network. 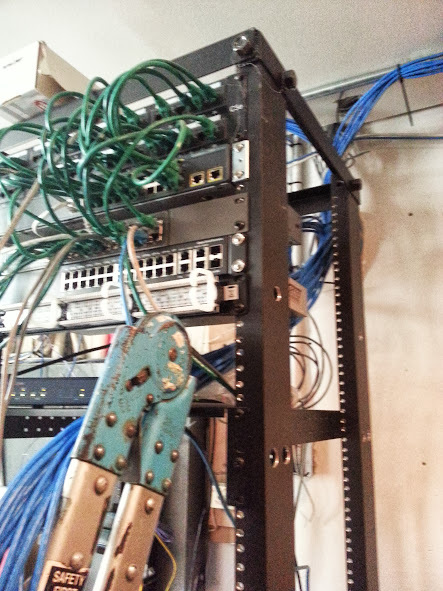 First and foremost, patching everything in this way, and coming from the same side where the CAT5 is punched in to the panel allows for the panel to be removed from the rack to punch in additional jacks (there are 2 spaces available in the rack) as well as allowing for troubleshooting/repair of defective or improperly terminated wires. I also feel that it is more visually appealing and keeps things neater. Rarely will you see 1 foot patch cords in my bag of supplies. Oh, and in case you were wondering, all of the excess of the zip ties were clipped after taking this photograph. Out of time constraints, jacks were NOT tested and labeled, but I did patch everything in so that the panel port number and switch port number are the same, so that Labeling can easily be completed in the future with out the need for a tester or meter. 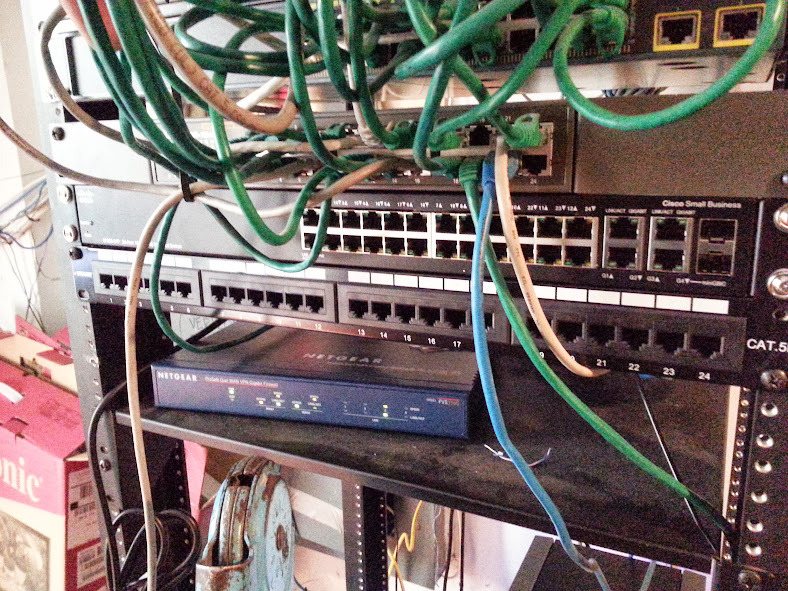 All phones registered and got power from the PoE switch, so there were no failures. Testing and labeling would have taken at least an hour or two. Since there are no failures, I can easily have everything labeled within 20 minutes on a future visit.